The common cold causes up to 22 million missed school days a year! Most adults get 2 – 5 colds a year. Colds are caused by over 200 different viral infections. Colds are spread by inhaling tiny droplets of mucus in the air spread by people with colds, or by touching surfaces that have been contaminated by infected persons and then touching eyes, mouths or noses. 40,000 infected droplets can be expelled as far as 30 feet with each cough or sneeze and might survive up to 3 -4 hours on the surfaces where they land! It is impossible to completely prevent the spread of colds. The following are reminders because we’ve all heard this advice before. However, these steps might reduce the likelihood that you will become infected with a cold virus. Wash your hands often, and wash the right way. This is your best line of defense, especially if you’ve been in a public space like a gym or a store or on public transportation. Make sure you suds up because the suds kill germs and removes the dirt they hide under. Wash thoroughly for at least 20 seconds, rinse well, and dry well. Germs stick to skin when it’s wet. In a pinch use hand sanitizers or sanitizing hand wipes. They aren’t as effective at removing dirt as soap, so look for ones that are at least 60% alcohol and rub all over your hands as if you were washing them. Put on a sweater! Cardiff University’s Common Cold Center had 90 volunteers put their feet into cold water for 20 minutes and 29% developed cold symptoms within five days compared to only 9% of the control group who put their feet into an empty bowl. 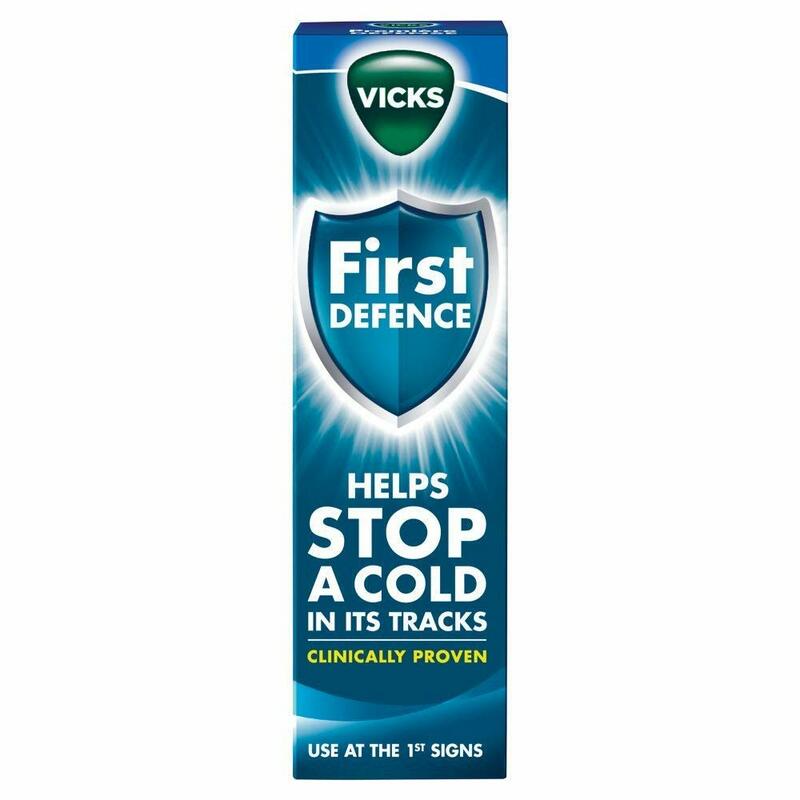 Try a thick nasal gel like Vicks First Defense – a jelly-like substance that coats inside the nostrils and prevents viruses from attaching to the lining of the nose. I’ve had friends use anti-bacterial ointments in and around their nostrils when flying on airplanes. Preliminary research shows it can cut your chances of catching a cold by 50%. That’s huge! Eat foods with vitamins. A mix of vitamins and minerals will strengthen your immune system. Eat fruits and veggies at every meal and avoid refined sugar and foods with high sugar content because sugar makes our immune system sluggish. If you aren’t getting enough fruits and veggies take a vitamin and mineral supplement. Avoid touching your eyes, nose or mouth. If you are around someone you suspect has a cold, avoid touching any surfaces they might have also touched. If someone you live with is infected, keep your dishes and utensils separate or use disposable items like paper cups. Germs can live for several hours on cloth towels, so use separate dish and hand towels or paper towels. This may sounds obvious, but get enough sleep, eat well, get exercise and take probiotics. All those will help keep your immune system in good fighting condition. Manage your stress. Stress weakens our immune systems and makes us more vulnerable to viruses. Research shows that people coping with a stressful situation have double the risk of becoming ill. Meditation and exercise can reduce stress by 40-50%. Stay hydrated. Water helps flush impurities out of our system. Experts recommend drinking 8 glasses a day. Don’t bother with Vitamin C or Echinacea. Studies have shown that neither have any effect on the cold viruses. Note: For Christmas I gave a few friends a little pouch with hand sanitizing wipes, disinfectant spray and surface sanitizing wipes to keep them healthy in their travels. Our Staying Healthy While Traveling article has a list of the products to help keep germs away. We’ve also written an article on natural remedies to take to reduce the impact of the common cold. Ever heard of a paraprosdokian?